IBM® WebSphere® DataPower® SOA Appliances are purpose-built network devices that offer a wide variety of functionality such as the securing and management of SOA Applications, enterprise service bus integration, and high speed XSL execution. A hardened appliance, DataPower provides robust security features including tamper protection of the device itself. 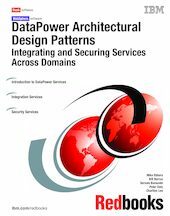 This IBM Redbooks publication was written for application architects and other consultants who want to include DataPower appliances in their solutions for reasons of speed, security, or ESB integration. The topics include DataPower services, Web services, security, and integration strategies.